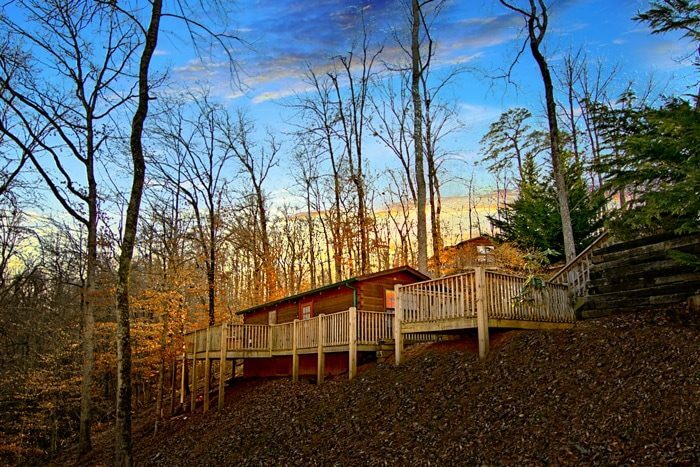 Welcome to "Wonderland," your affordable cabin rental near Gatlinburg! 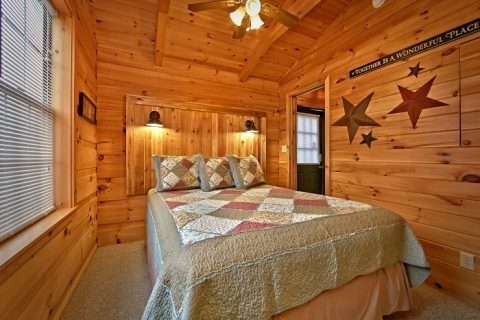 Pigeon Forge, Tanger Outlet Mall shopping area, and more all lies within minutes of your cabin, making it great for couples, small families, or small groups of friends visiting the scenic Tennessee Smoky Mountains. 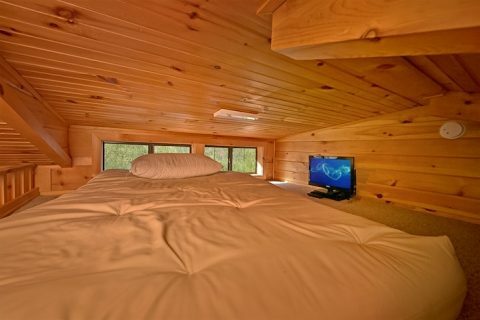 Whether you're coming to the Smokies for vacation with the family, a shopping trip with the friends, or just a weekend retreat, "Wonderland" offers an affordable cabin rental in the Smoky Mountains that sleeps up to 4 guests with a king-size bedroom and a sleeper sofa in the living room. 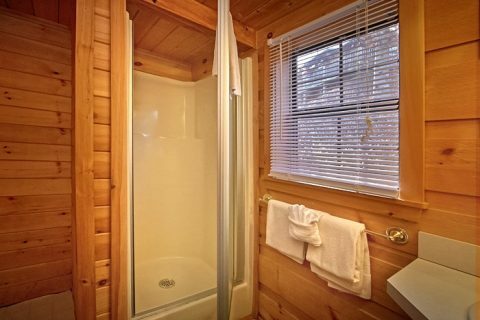 Your master suite also features a flat-screen television and full bath for added comfort and relaxation. 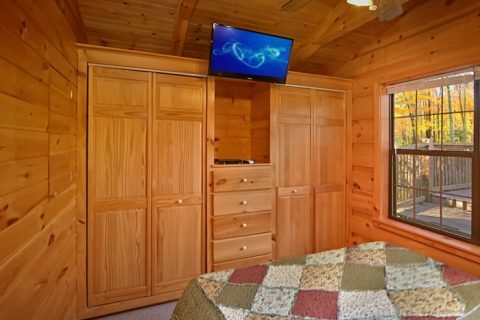 Little kids will enjoy sleeping in the loft with a mattress and television with a built-in DVD player. 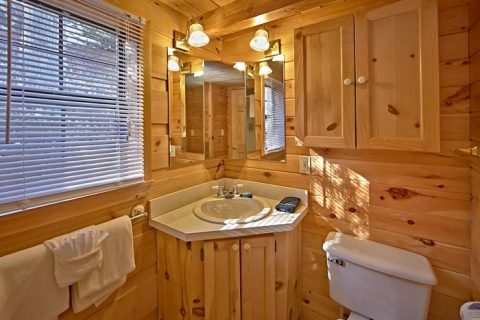 Your cabin offers plenty of comfortable cabin amenities. 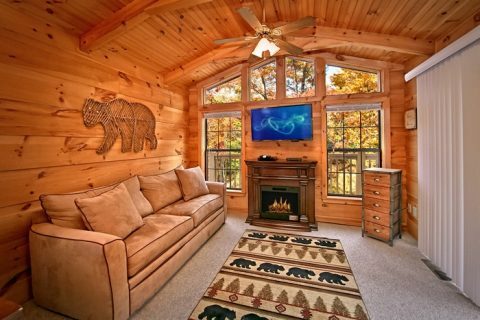 Lounge in front of the electric fireplace on the living room's sleeper sofa while watching your favorite shows on the large 40" flat screen television. 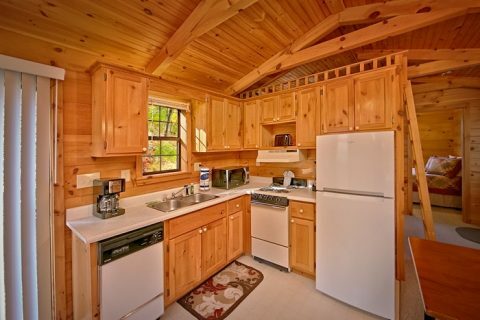 Enjoy meals prepared in the dine-in kitchen or hot off the charcoal grill. 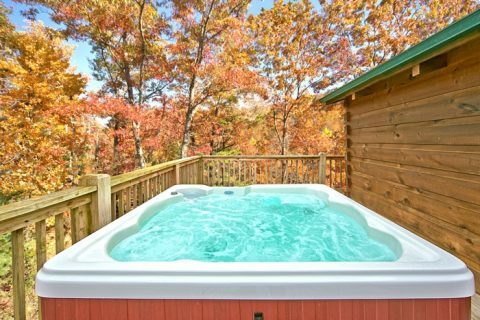 Your cabin's location provides for more play time with less travel time - great for taking breaks between adventures in your cabin's soothing year-round hot tub! 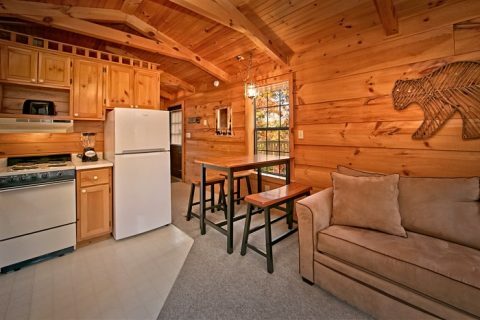 Couples or small groups looking for more than one affordable cabin near Gatlinburg will find "Wonderland" very accommodating as "Where the Magic Happens," "A Long Kiss Goodnight," "Enchanted Moment," "Secret Rendezvous," and "Cloud 9" cabin rentals all rest within walking distance. 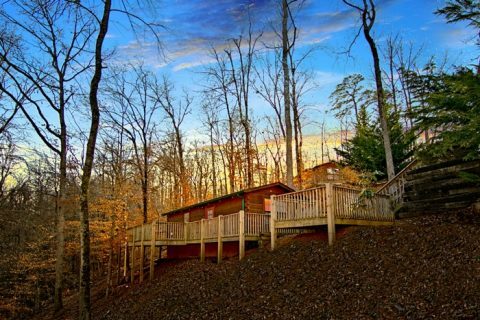 Book this wonderfully affordable cabin near Gatlinburg online with Cabins USA Gatlinburg for an immediate Online Cabin Special!